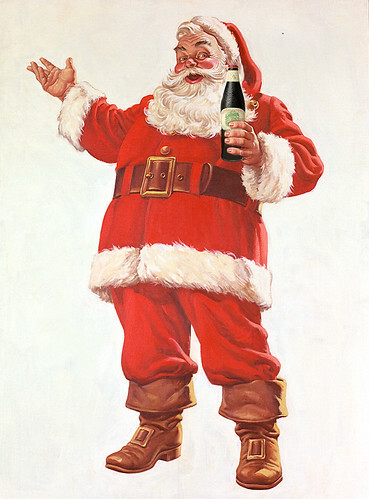 While not widely known, St. Nicholas, among his many patronages includes brewers. He is a patron saint of brewers. The way we think of St. Nick in America begins with the publication of Twas the Night Before Christmas: A Visit From St, Nicholas by Clement C. Moore in 1823. So with my tongue firmly set in my cheek, I decided to rewrite Moore’s masterpiece, moving his visit from the home to the brewery. Hoppy Christmas. Enjoy. For more detail on how this came about, and about the original poem, see below. I sprang from the brewery to see what was the matter. Tore open the lock, the door flew up with a crash. Now, Busch! Now, Rheingold!, now, Pabst and Carling! On, Schlitz! on, Schmidt! on, Miller and Yuengling! To the top of the jockey box! To the top of the cask! With the wagon full of Beers, and St. Nicholas too. The toasting and drinking of each little goof. Out the fermenter St. Nicholas came with a bound. And his rubber boots squeaked as he opened his pack. His besotted eyes—how they twinkled! his dimples how merry! His cheeks were all rosy, like New Glarus cherry! That shook when he laughed, like a half-emptied keg. And away they all flew like a hop torpedo missile. In late 2009 — a Saturday night — I read Porter and Alice, my two kids, Twas the Night Before Christmas: A Visit From St, Nicholas by Clement C. Moore. Whenever I read something I know to my children (which happens a lot, kids love repetition) the writer in me edits as I go. I change words as if it was my work, I flatter myself I’m improving it or correcting mistakes. A scatterbrained scheme was hatched as I again read them what’s probably the most famous Christmas poem. As I’ve written about before, St. Nick is also a Patron Saint of Brewers. So with my tongue firmly set in my cheek, I decided to rewrite Moore’s masterpiece, moving his visit from the home to the brewery. As it happens, there are a lot of different versions of the poem, with incremental changes having been made over the years. I used, for no particular reason, an edition from Trans-Pacific Radio. Enjoy. Hoppy Christmas. 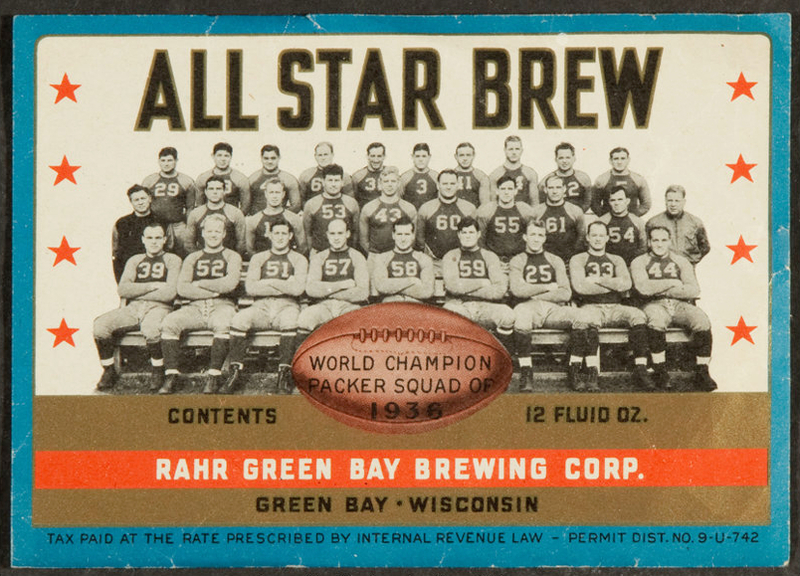 You can also compare the two versions side by side, which also includes the brewers names I’ve used in previous years. The plan is to change those each year. Feel free to share my version of the poem, with credit if you please, plus a link back here is always appreciated. UPDATE: Georgia’s Sweetwater Brewing also did their own beer-themed version called Sweetwater’s Night Before Christmas. 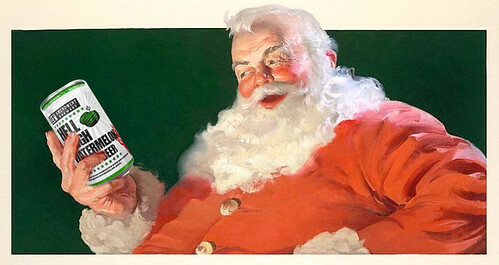 There’s also another beer-themed one I shared last year, Twas the Brewer’s Night Before Christmas. For many more parodies, check out the Canonical List of ‘Twas the Night Before Christmas Variations, which contains 849 different variations on the poem. 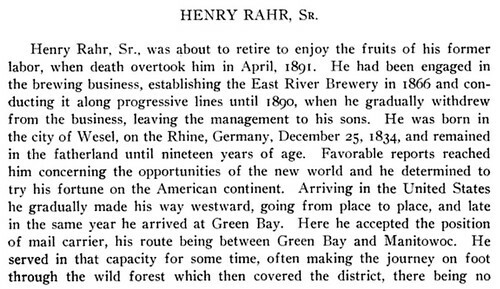 Today is the birthday of Henry Rahr (December 24, 1834-April 14, 1891). He was born in Wesel, Germany, but came the U.S. in 1853, when he was 19. 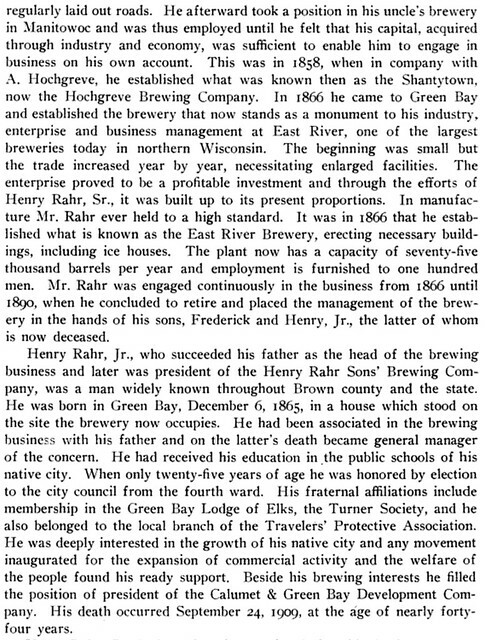 He worked in his uncle’s brewery in Manitowoc, and then opened his own brewery near Green Bay with a partner, August Hochgreve, which they called the Bellvue Brewery. 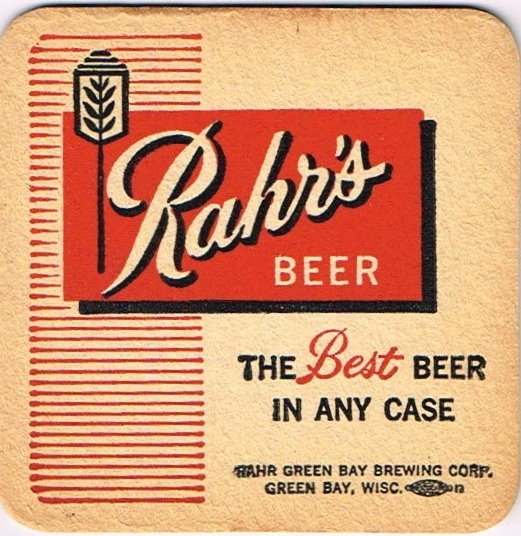 They later had a falling out, and in 1866 Rahr left to start his own brewery in Green Bay, which was initially called the East Rivery Brewery. 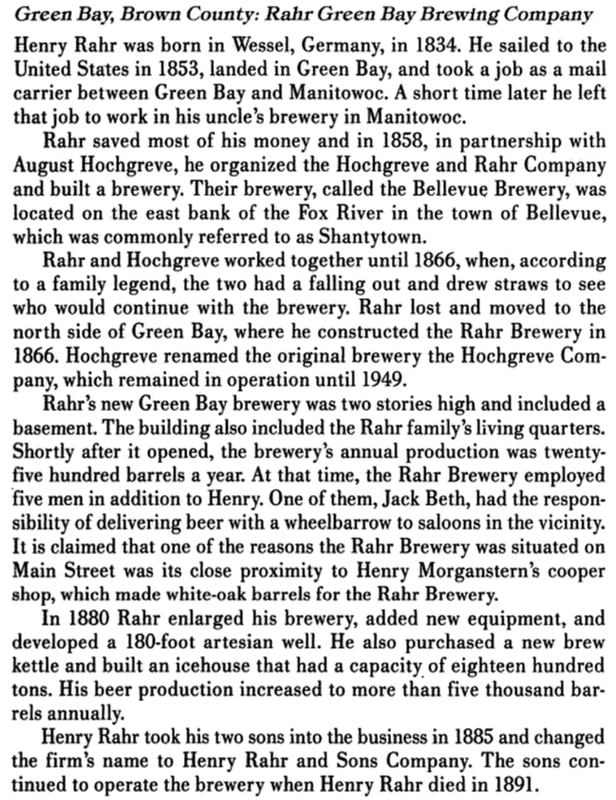 When he died in 1891, his sons continued the business, but renamed it the Henry Rahr Sons Co. Brewery, later shortening it to Rahr Brewing Co. 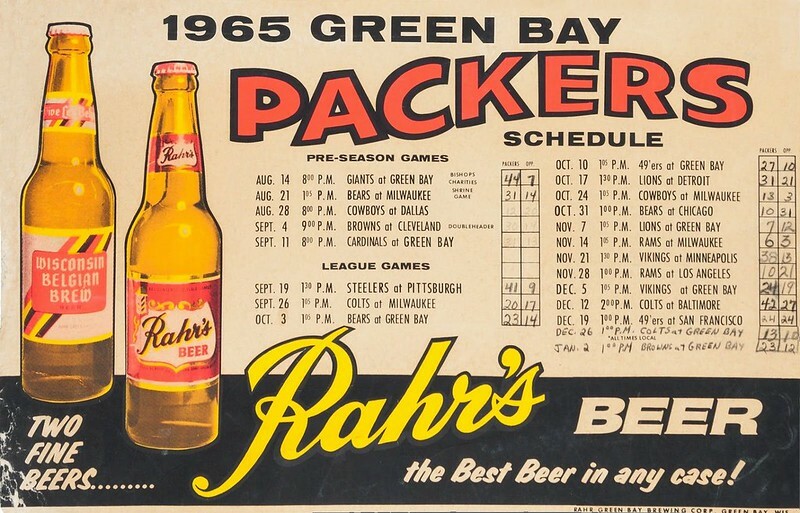 It survived prohibition, and was known as the Rahr Green Bay Brewing Co. until closing for good in 1966. Note: This biography gives his birth date as December 25, but a photo of his tombstone clearly shows it as December 24. Today is the birthday of Aron Deorsey, who for a lot of years was the brewmaster at the Beach Chalet Brewery & Restaurant in San Francisco, along with the Park Chalet and the Lake Chalet in Oakland. 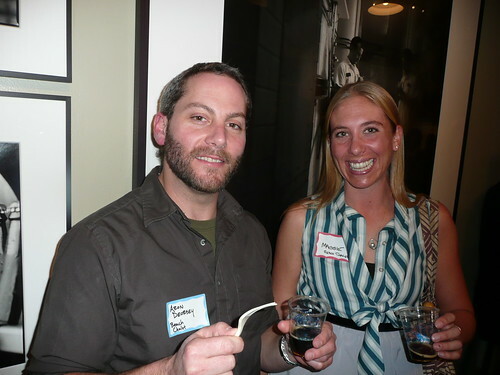 I got to know Aron much better a few years back when we roomed together attending Sierra Nevada’s Beer Camp for SF Beer Week. He had been making great beer at the beachside brewpub for a number of years, and is great fun to hang out with, but earlier this year he’s opened his own place, a brewpub in San Francisco called the Hop Oast Pub & Brewery. Join me in wishing Aron a very happy birthday. 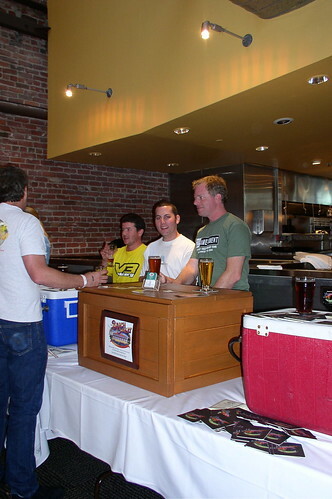 Brendan Dobbel, from Thirsty Bear, Rich Higgins, from Social Kitchen, Aron and Zambo, from 21st Amendment at Sierra Nevada’s Beer Camp a few years ago. Aron and his friend Maggie at the Anchor Christmas Party in 2009. 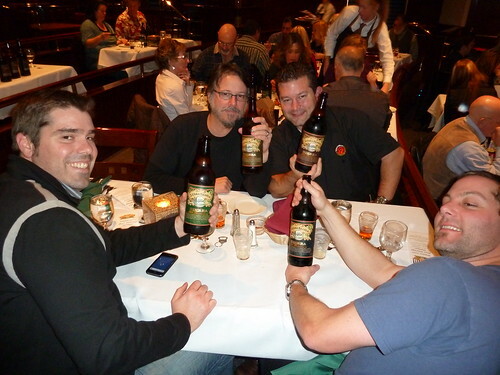 At a Sierra Nevada beer dinner at the Chico brewery in 2010. 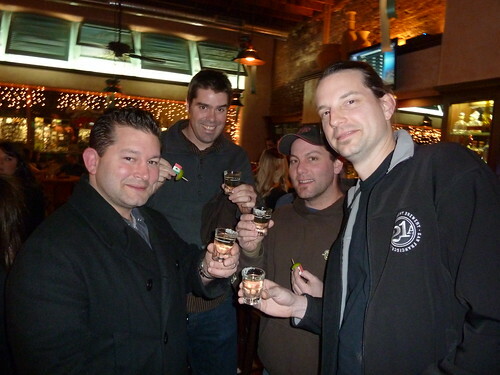 Clockwise from Left: Rich Higgins, John Tucci, Brenden Dobbel & Aron with the 4 bottles of dessert. Aron (in the center) at the Thirsty Bear Oktoberfest in 2002. As a maverick film tycoon, Hughes gained prominence in Hollywood beginning in the late 1920s, when he made big-budget and often controversial films like The Racket (1928), Hell’s Angels (1930), Scarface (1932), and The Outlaw (1943). 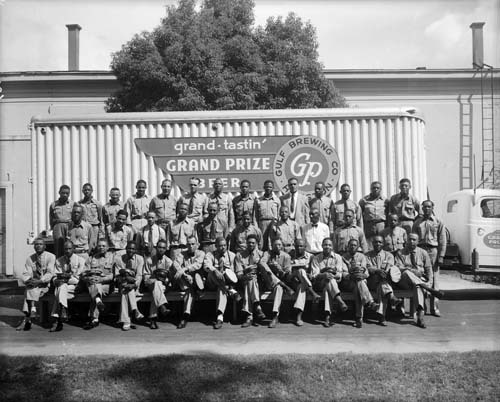 Hughes formed the Hughes Aircraft Company in 1932, hiring numerous engineers and designers. 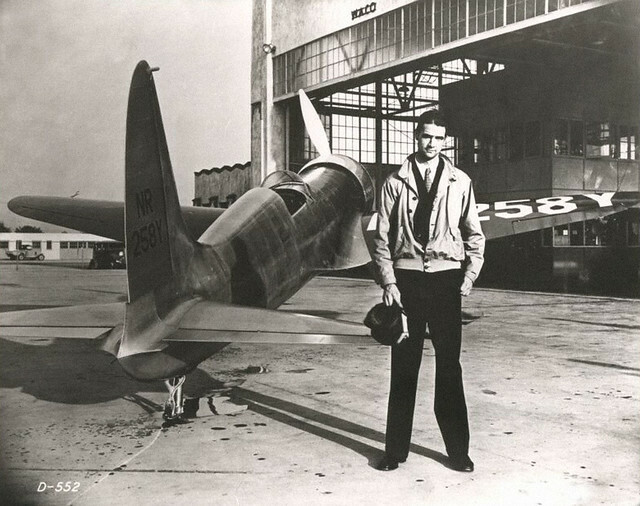 He spent the rest of the 1930s setting multiple world air speed records and building the Hughes H-1 Racer and H-4 Hercules (the “Spruce Goose”). He acquired and expanded Trans World Airlines and later acquired Air West, renaming it Hughes Airwest. Hughes was included in Flying Magazine’s list of the 51 Heroes of Aviation, ranked at No. 25. Today, his legacy is maintained through the Howard Hughes Medical Institute. 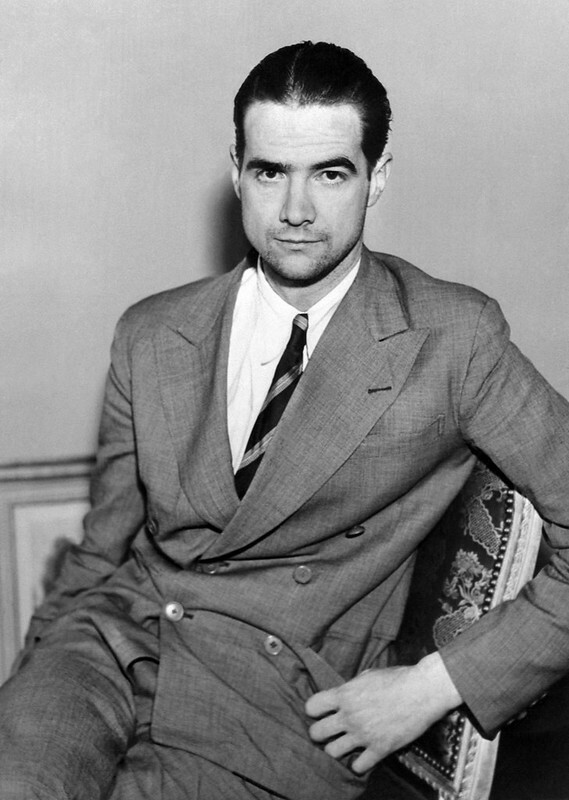 Howard Hughes’ connection with the Houston-based Hughes Tool Company is fairly well-known. 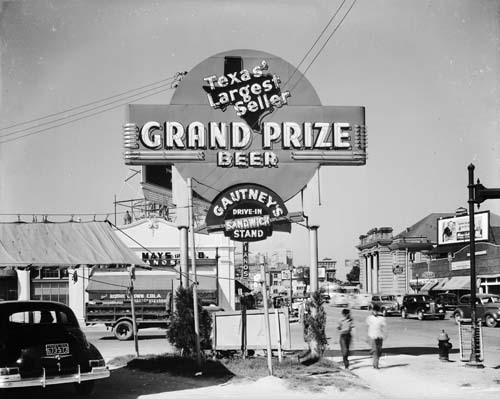 It is less well-known that Hughes started a brewery in Houston, on the grounds of the Hughes Tool Company, called Gulf Brewing Company. 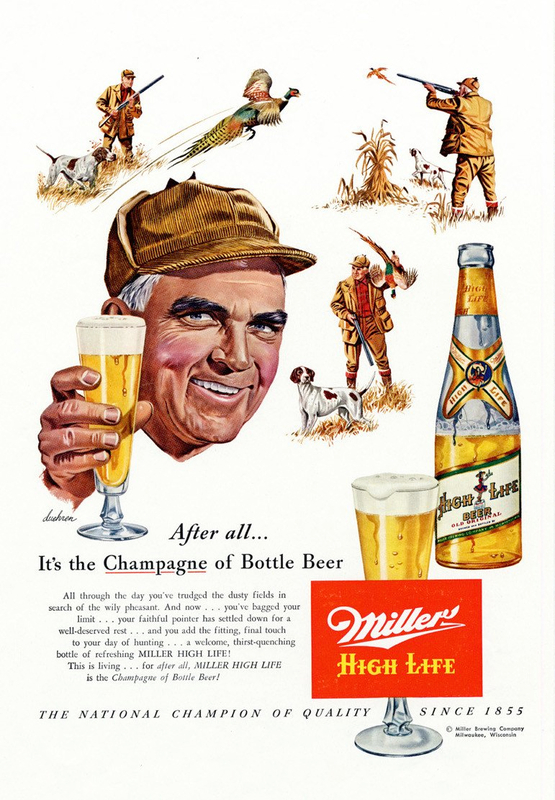 Hughes opened the brewery at the end of Prohibition, and its profits helped the tool company survive the Depression. 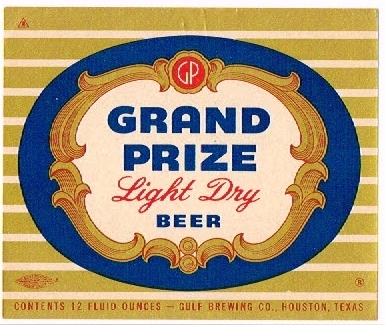 Gulf Brewing Company produced Grand Prize beer, which for a time was the best-selling beer in Texas. 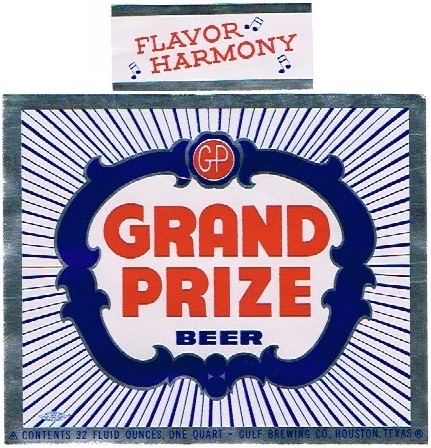 It has been reported that a beer called Grand Prize beer was also produced prior to Prohibition, by the Houston Ice and Brewing Company. 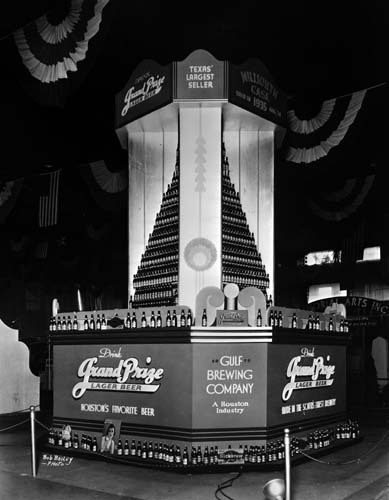 While that may be accurate, any confusion is likely connected to the fact that Hughes’ Grand Prize brewery was operated by the man who served as brewmaster at Houston Ice and Brewing before Prohibition. 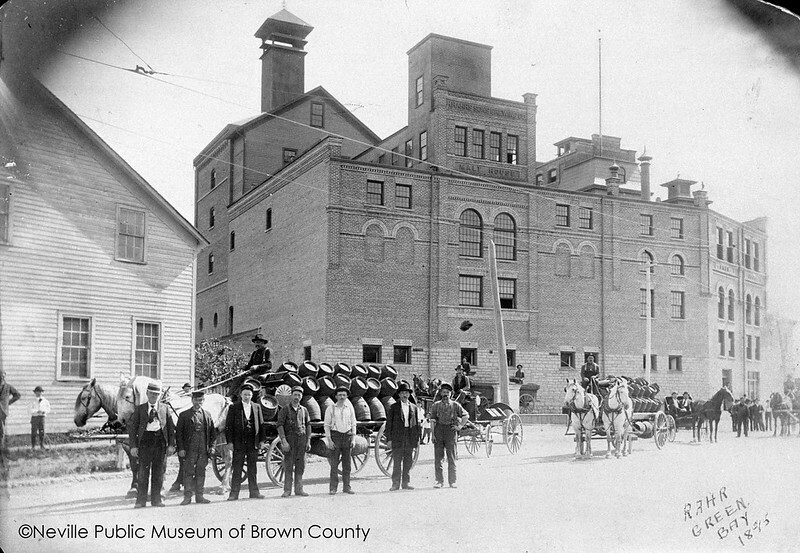 In 1913, while he was brewmaster at the Houston Ice and Brewing Company, Belgian-Houstonian Frantz Brogniez was awarded Grand Prize at the last International Conference of Breweries for his Southern Select beer – beating out 4,096 competing brewers. Brogniez left Houston during Prohibition, but Hughes convinced him to return to serve as brewmaster for the Gulf Brewing Company. Brogniez’ son operated the brewery after his father’s death.